…and here is what everyone is saying about it. For 2017, the buzz word was “Globalisation”. In other words, western galleries brought in a lot of western art for all to see. Or at least that’s the feeling shared by a majority of visitors, exhibitors and journalists, as reported by Artnet. In previous editions of the Art Basel spin off in HK it seemed that Asian artists had a larger presence at the fair. So what does it say about the Asian and in particular the Chinese art market? We know that collectors in China are becoming increasingly more sophisticated and have been spending more time visiting international museums and fairs. The noticeably heightened presence of western galleries and advisers on the ground has certainly helped cultivate collectors tastes. The international galleries on the ground have also gained the trust of Chinese collectors and are now reaping the rewards of their investment, selling expensive and challenging works to top local collectors, as reported by the Financial Times. Art Basel Hong Kong’s success is probably partly due to the appetite of China to develop museums, one fifth of them being private initiatives. As a result, collectors need to fill their museums for posterity and certainly partially for investment purposes. Chinese collectors seem to be down to earth when it comes to buying art, trying to negotiate down coveted works by 40% to 60% in order to optimise their investments, writes Artsy. Art as an investment? Yes it is, for many of them who are well aware of their economic power and are looking for ways to divest their assets. 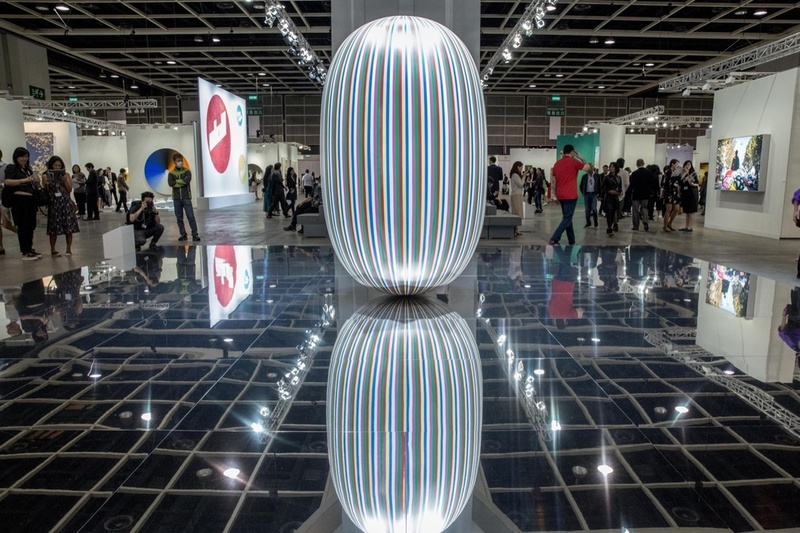 As a result, galleries are increasingly considering Art Basel Hong Kong as their key fair, keeping their best works for the Chinese public. Congratulations to the Art Basel team, we now look forward to the next instalment this summer in Basel.